Hi guys, i just got my first cap card from roxio, but i have a bit of a problem. When i use the Roxio Game Capture HD Pro as a passthrough, the colors changes on my pc screen. I am capturing the main monitor of my pc and are running all through HDMI. HDMI GFX card -> Roxio Game Capture HD Pro -> PC Monitor. I have the exact same problem, there is a notable loss in quality and color wierdness on my monitor when I use the game capture hd pro as a passthrough! My mate is having this problem aswell. Anybody found a solution for this yet? Have tryed playing around with the colour settings, but with no luck. Are you using SCART adapters in here somewhere??? As i have mentioned in the first post. I have tryed with other gfx cards also, but there are still the same problem. It is like the roxio gamecap hd pro just makes the picture bad quality..
"I am capturing the main monitor of my pc and are running all through HDMI. HDMI GFX card (output) -> Roxio Game Capture HD Pro -> (Input)PC Monitor." Does your PC have 2 HDMI outputs??? No one else has an issue with the Pass Through - or at least it seem to have been an all or nothing problem but not colors. And to make sure I do understand, you are running the Game ON your PC and at the same time using the RGC to capture with. You only have One Monitor attached? Sorry for bumping an old thread, but I have the same problem. PC --hdmi--> Roxio HD --hdmi--> Monitor = color problem as in first post! Did anyone find a solution for this yet? Maybe a detailed description with screen caps might be better than a 'Mee Too' post? I'm running at 1920x1080 and only have 1 hdmi out on my gtx 670 and only 1 monitor. Please let me know what more details you may need! Try another HDMI input to the RGC (DVD/BD Player). Edit: I did try with my Xbox360 set on 1080p as input. It gets the same problem once I put RGC between it! It isn't our website. You are posting to a users forums, and the folks here are users of the software just like you. So where do I go for help with this? Are there no official moderators or people who work for roxio here? We're under the roxio.com domain afterall. Way to go. I'm prolly just gonna return it and buy a differnt product from another company if this can't be solved. I believe one of the menu options on the Game Capture software, possibly under the 'Help' menu, is "Feedback"? (I don't have the program in front of me at the moment.) That's where you would get your comments back directly to Roxio/Corel. This is indeed a user's forum, and you only rarely see an official Roxio representative here. 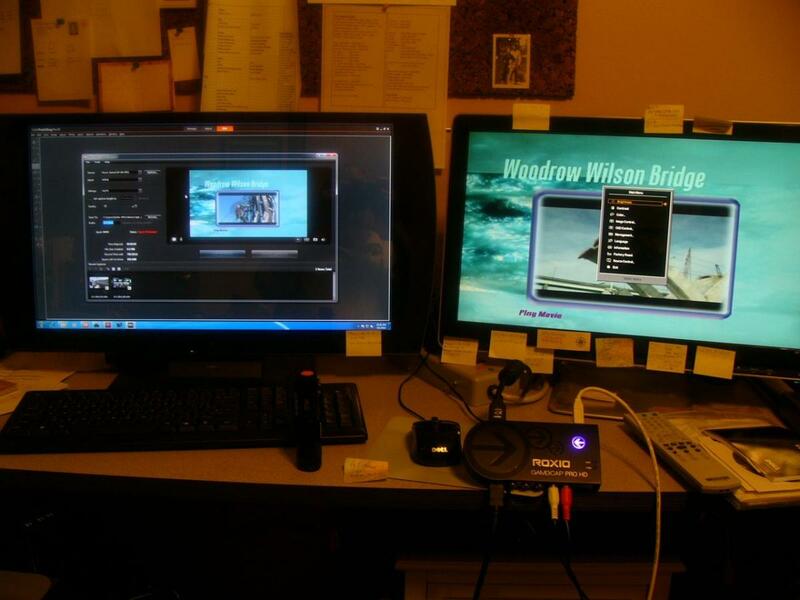 My Left Monitor is primary and running the RGC Software. Even leaving the HDMI running and switching the right monitor over to DVI-D from the PC produces no defect. NO change in text quality. I do not fully understand what you are doing??? You have one monitor so I am guessing you connect the RGC pass through to it and switch to that input for game play - using the Hot Keys to turn the Capture on and off? You don't have any color issue with that imput? You only see it when you switch to the other input (your graphics card) while the RGC pass through is still active? 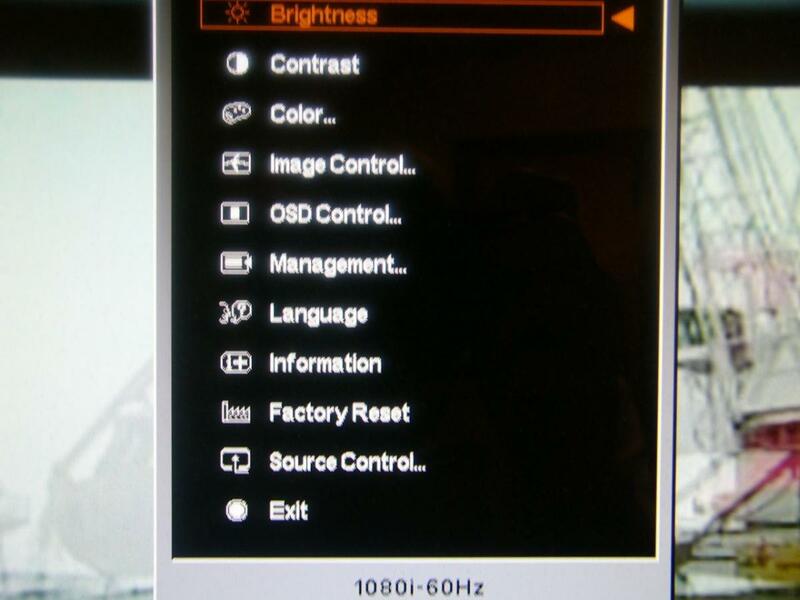 I only have color issues if RGC is in between my GPU (or any other source) and my monitor (set to 1080p). Can you try on a 1080p monitor, with everything in 1080p? I don't think you'd notice on 1080i. That may be part of the problem. What's the frame rate you set for at 1080p? The RGC only supports up to 1080p/30fps. Well I'll be damned, obvously since it's a PC monitor it's running at 60hz. Thanks for your help. You're saying it's all better now? What settings are you using now? No. I'm saying I most likely know now that it doesn't support my setup. I will have to look for another device. No I cannot change my Refresh Rate which is 60 Hz on both monitors that I tried it on. You did not answer my question. If your monitor is hooked up to the RGC it is for game play. WHAT are you looking at where you notice this distortion?